ATROCITY are proud to announce the release of theirDVD “Die Gottlosen Jahre” (The Godless Years) which will be out 30.03.2012! After years of preparation, rediscovering old treasures and unveiling unforgettable memories of our musical adventures, we are finally able to share our history which extends over a period of more than two decades since we formed the band in 1985. The DVD features the 3-hours-long anthology “Die Gottlosen Cheap Prom Dresses Jahre” (The Godless Years), including tons of unreleased and rare footage, moreover, more than 80 inteviewees from the global metal and gothic scene. It makes us unbelievably proud that so many people helped us during this long and detailed production process. Thanks to everybody who contributed to this project, making this documentary Stwd possible. The movie chronicles happenings around the scene bound to each period, evolving into its own chapter. Additionally, the double DVD incl. audio CD release includes the 25th anniversary special show at Wacken Open Air 2010, as well as a number of bonus clips, as e.g. the short “Dreath-Sidestory ‘Underground'”. 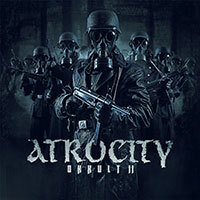 Get ready for a Metal time warp with ATROCITY! 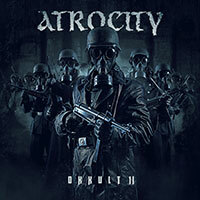 The wait is over: ATROCITY finally release their highly anticipated retrospective, “Die Gottlosen Jahre”! The highlight of this splendid Double DVD, which also includes an audio CD, is the three-hour-long anthology film “Die Gottlosen Jahre”, completed over a period of many years. More than 80 interviewees from the world of metal and gothic stepped up to the plate: Band members of CARCASS, ARCH ENEMY, KREATOR, DIMMU BORGIR, DEICIDE, OBITUARY, SODOM, LACRIMOSA, DAS ICH, OOMPH!, PAIN, CREMATORY, ENTOMBED, MORGOTH, NAPALM DEATH, PUNGENT STENCH, UMBRA ET IMAGO, SAMSAS TRAUM, GOETHES ERBEN a.o., journalists (METAL HAMMER, ROCK HARD, SONIC SEDUCER, ZILLO a.o. ), labels (ROADRUNNER, NUCLEAR BLAST, NAPALM RECORDS), as well as deejays, photographers, and fans! Reels and reels of rare unreleased film material and hundreds of photographs accompany the 25-year career of this German cult band. Of course, no ATROCITY retrospective would ever be complete without the legendary 25th anniversary concert (performed at WACKEN OPEN AIR 2010 to a red-hot crowd led by frontman Alex Krull) or without an abundance of bonus material such as the documentary “No Sleep ‘Til Wacken”, the short “DREATH Sidestory ‘Underground'” featuring Alex Krull and Ralf Scheepers (PRIMAL FEAR), as well as a substantial collection of the band’s video clips, including some of their greatest hits (“Taste of Sin”, “Love Is Dead” and “Cold Black Days”), which were completely remastered to guarantee their fans the utmost enjoyment. As with all Mastersound Studio releases, the remaining material also boasts of a state-of-the-art production. “Die Gottlosen Jahre” is an impressive audiovisual collection that will attest to the band’s cult status and allow it to linger for years to come. Deluxe 6-Panel Digipack + Slipcase 2-DVD incl. Bonus Live Audio CD. 3h Anthology Film, the Legendary 25th Anniversary Concert at WACKEN OPEN AIR and 13 Video Clips incl. DREATH Sidestory “Underground”.